I hope you enjoy the following optical illusion, inspired by an illusion I saw on the Mighty Optical Illusions website, which also shared this one on its site and Facebook page. For the full effect, click on the image to look at the full-size version. I also posted this on my Houdini blog, which you should check out if you haven’t already. 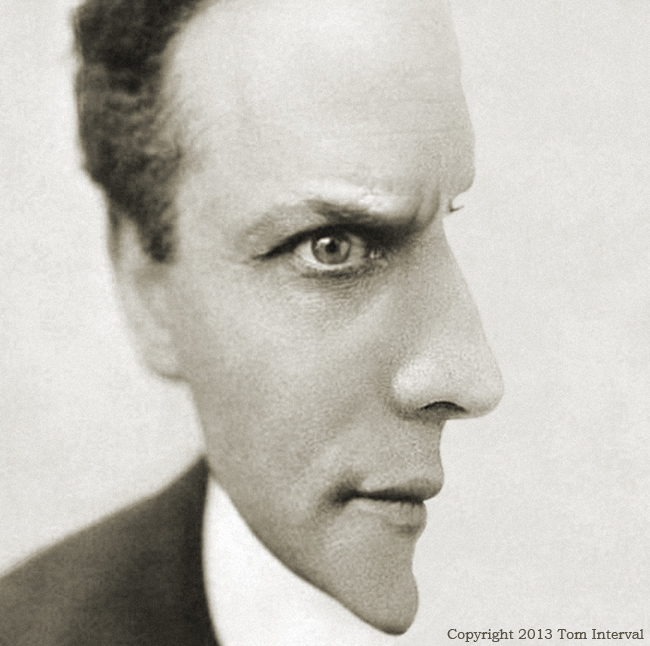 The image blends front and profile photos of legendary escapologist and magician Harry Houdini to create what is known as an ambiguous optical illusion. The human visual system, having to process the image at a deeper level to resolve the ambiguity, interprets it in more than one way—a phenomenon called multistable perception. This entry was posted in Uncategorized and tagged harry houdini optical illusions. Bookmark the permalink.